Today I have mailed a box of cards to OWH including 191 AnyHero cards. This is one of my "AnyHero" cards. 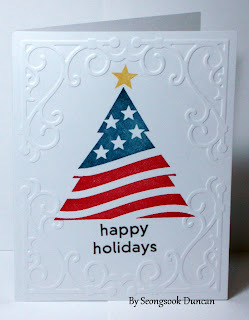 I used the FUNDRAISER STAMPS OWH CHRISMAS COLLECTION from StampersBest. 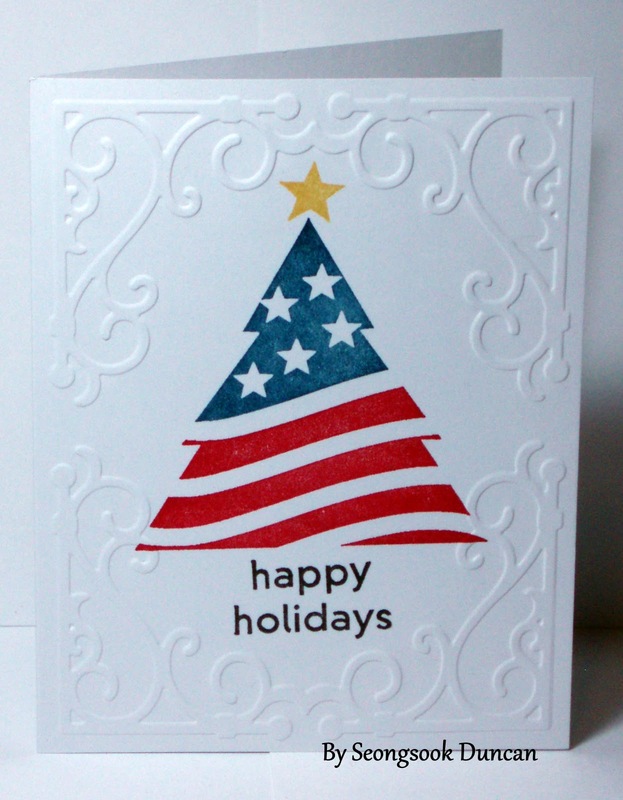 I cut the tree rubber stamp and stamped separately in different colors by using Stamp-a-majig tool. I like how it turned out. I want to share one of my co-workers' message that is very touching. "The holidays are a time to reflect on all that we are thankful for and many blessings we have in our lives. This is the perfect time to thank you for all the sacrifices you've made and the courage you show each day to help keep our country safe for all families. It is because of Heroes like you that my children can go outside and play in a safe environment, free from gun fire and bombings. I pray this note finds you well and that you too will be home with loved ones soon. Keep your head and spirits up and know that we are thinking and praying for you." Thanks to everyone for writing a message for our Heroes!